The reader will find in these pages a profound and far-reaching analysis of the ideas, religious aspirations and building- techniques which contributed to the creation of one of the largest Buddhist edifices in the world. This book is not a history of the famous Javanese monument nor is it a history of Buddhism. It is the English translation of the foreword to a work- loosely focussed on the Barabudur-which was published at Hanoi in French in 1935. Its author, Paul Mus, was then a young member of the Ecole francaise d'Extreme-Orient. Later he was to have a distinguished academic career in France, where he taught at the College de France, and in America where he was for several years Professor at Yale University. His influence in the field of Buddhist studies has been considerable: and young European and American scholars, in their writings, continue to acknowledge their debt to him. The difficulties involved in coping with the author's very complex French style have tended to discourage translators. IGNCA has taken the initiative to make available to a large Indian public some of the work of an exceptional French scholar and visionary. To travel with Mus is an extraordinary, intellectual experience. Alexander W. Macdonald, the translator, was born in Scotland in 1923. He went straight from school into the (British) Indian army and fought in Burma as an officer in the 10th Gurkha Rifles, serving later in 'V' Force, Force 136 and Allied Land Forces Para-Military operations in Southeast Asia. In 1946 he resumed his studies at Oxford University. After his B.A., he went to France and acquired a Licence-es-Lettres at the Sorbonne. In 1951 he became a research worker at the Centre National de la Recherche Scientifique in Paris, remaining with this institution until his retirement as Directeur de Recherche in 1989. In 1965 he inaugurated the teaching of Nepali at the Institut National de Langues et Civilisations orientales. On loan from Paris, he was appointed Professor of Sociology at Tribhuvan University (Nepal) from 1973 to 1975 and later taught Anthropology at the Chinese University of Hong Kong and at the University of California, Berkeley. He served as General Secretary of the International Association of Buddhist Studies from 1991 to 1995. As a student in' Paris in the 1950's, he attended the lectures of Paul Mus and knew him personally. Located amid Kedu plains of Java (Indonesia) on an eminence, Barabudur, sometimes spelt as Borobudur, is famous for its grand Buddhist stupa, unique in South and South-East Asia on account of its architectural features and form. On paleographic and stylistic grounds, the period of its construction is dated about late eighth and early ninth century A.D. It is believed to have been raised under the patronage of Sailendra kings, who were zealous Buddhists and overlords of Srivijaya kingdom in central Sumatra, governing an extensive area comprising Sumatra, Java and Malayan Peninsula between eighth and tenth centuries. They also had cultural relations with India. A copper plate inscription found in excavation at the site of the great Buddhist university of Nalanda (Bihar) records that at the request of king Balaputra of Sumatra, emperor Devapala (815-854) of eastern India made a donation of five villages for the upkeep of a monastery (at Nalanda). Similarly, Cola ruler Rajaraja of south India is stated to have made some gifts to Chudamani Vihara in Nagapattinam (Tamil Nadu) which was originally built by Maravijayottungavarman, a Sailendra king. Accounts such as these, testify to the close connection of Indian and Indonesian art including that of the monument under reference. The Barabudur stupa has been built perhaps around a sacred hill in the form of an unusual pyramid of nine distinct levels. Architecturally, it represents a terraced pile of dressed and sculpted stones carefully arranged to form an imposing structure characterised by shapely offsets, surmounting stupas and conspicuous massiveness. The impressive body of this pyramidal monument comprises nine tiers of diminishing elevational proportions with a semi-truncated top. Of the nine tiers, the six lower ones are of square form while the top three have a circular design. The uppermost terrace is surmounted by a central stupa containing a Buddha figure inside with seventy-two surrounding stupas of smaller dimensions arranged in three concentric circles on the top terraces. Each of these stupas has a hollow interior enshrined with an image of Buddha visible through its perforated exterior. Thematically, the presence of multiple Buddha figures installed in the stupas is further aided by scores of Buddhist reliefs distributed throughout the walls of each perambulation gallery represented in lower terraces. Remarkable for their rich variety of themes, artistic skill and aesthetic quality, the Barabudur reliefs are unique in several respects. The sculpted scenes depict the life of Buddha, largely according to Lalitavistara, an early Mahayanic text; narrations from the Avadanas and Jatakas drawn most probably from the well-known Sanskrit works, Divyavadana, Jatakamala and other Buddhist texts, besides Gandavyuha, Mahavastu, etc. 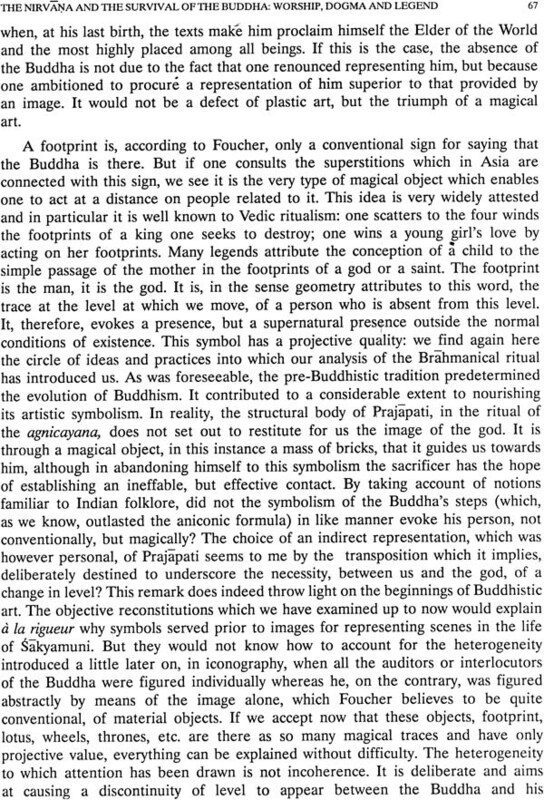 An important aspect associated with several sculpted slabs is the occurrence of short epigraphs recording expressions like Virupa (deformed or ugly), Mahesakhyah (eminent person), mahojaskasamavadhana (gathering of powerful persons), Suvarnavarna (name of a character of an Avadanay); caitya-vandana (worship of a sanctuary), chatradana (gift of umbrella), cakravarti (ruler of the world), svarga (heaven), Kuladharma-bhajana (virtuous persons), adhya-bhogi (rich-enjoyer), etc. These scarcely legible inscriptions were deciphered with considerable labour of Prof. Kern, Dr. Van Erp and others who tried to understand the purpose of these records in the context of carved scenes. After a careful examination of the extant epigraphs and reliefs, scholars felt that these were not intended to be labels for the depictions, but were, most probably, engraved to serve as directions to the sculptors to carve out a particular scene on a particular slab. The Buddha image in the central stupa functioning as the apex of the monument has been identified in the terms of Mahayana as Adibuddha or Primeval-Buddha symbolising universality, completeness, timelessness and eternal source of pure and perfect knowledge, which were brought to the world of mortals by Sakyamuni, and which would be revealed and communicated to people in subsequent ages by Maitreya, the future Buddha. The same idea is also expressed through the multiple Buddha icons within the stupas as preachers of the Dharma in their respective Buddhaksetras. The cycle of life, outcome of good and bad deeds, illustrated through the scenes of the world of mortals, depictions of heavens and hells and representation of the tales from Avadanas, Jatakas and other texts are based on the concept of reward and punishment dependant on the Buddhist laws of karman. The sculptural presentations of Barabudur were thus intended to convey the message to the onlooker to follow a noble way of life with a commitment to good deeds leading to the perfect knowledge transmitted by the Master. The reliefs of Barabudur have no doubt a textual base but the artists have also used their imagination, knowledge and skill in carving them out. They also reflect aspects of ancient Javanese (Indonesian) society and ethos. Echoes of the cultural traditions of ancient India are also discernible. 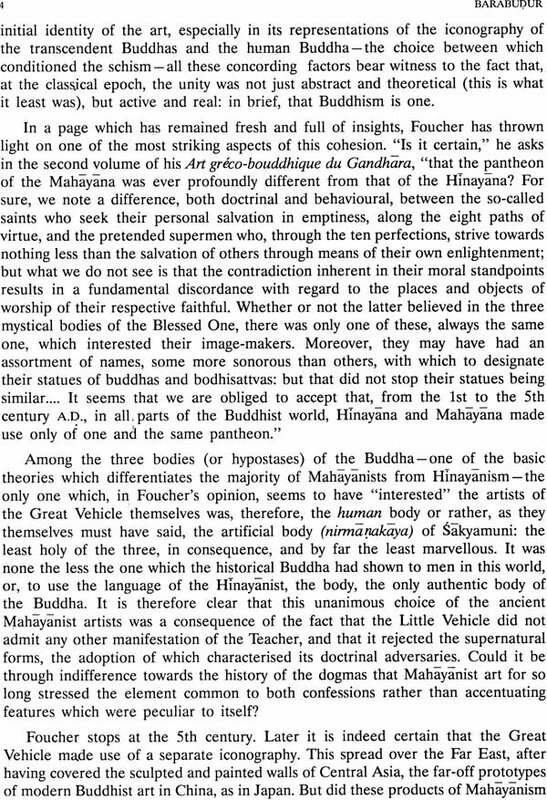 The great monument itself and its accessory sculptures are well intended and meaningful within the contextual framework of Mahayana Buddhism in the form that was accepted by the patrons and the builders of Barabudur. 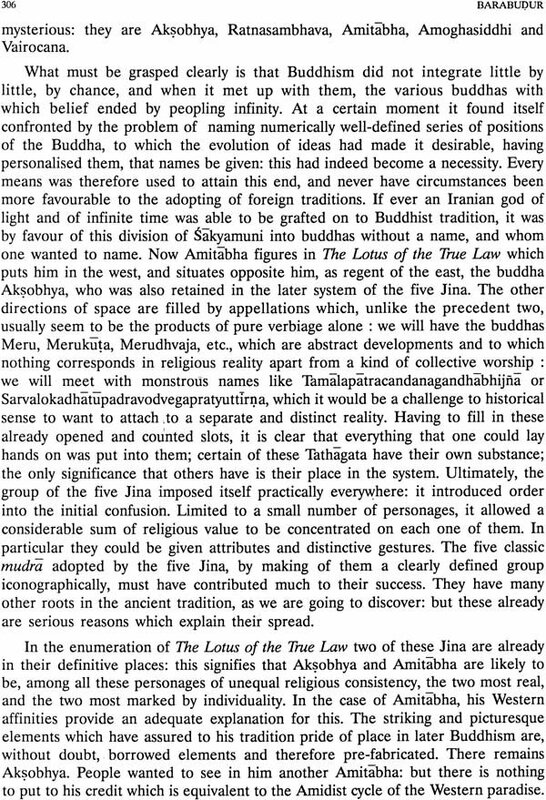 The sole objective of the artistic edifice was to drive an upasaka to the highest Buddhist goal of achieving final liberation. Architecturally, the stupa at Barabudur presents a balanced combination of horizontal and vertical elements represented by bold outlines of tiers and those of the segmented projections and recessed passages leading to the top. No doubt, structurally the monument is different from early Indian stupas like those at Bharhut or Sanchi (Madhya Pradesh) and Amaravati (Andhra Pradesh), yet, generically, it is not unrelated to India's architectural tradition. The basic structural format of Barabudur can be found in a variety of Indian temples modelled as terraced pyramids resembling very broadly as a West Asian ziggurat. This structural form is regarded as a representation of a sacred mountain, Meru or Kailasa. 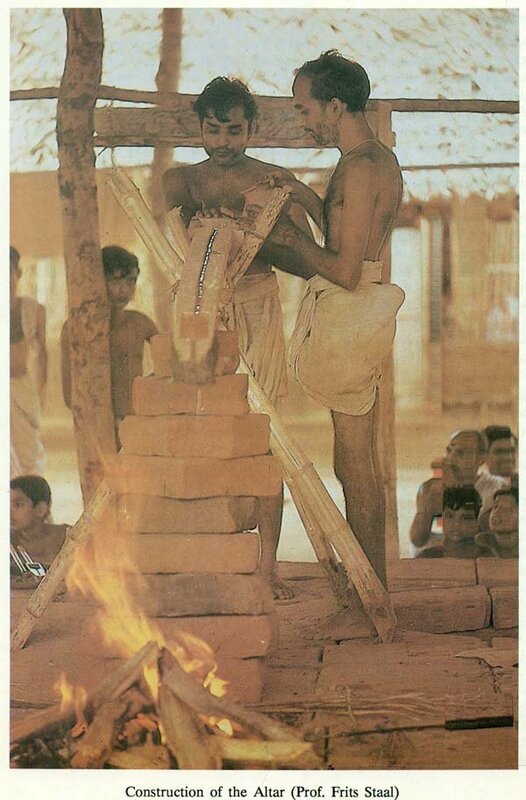 Earliest shrines of terraced type have been located in India at Pawaya (near Gwalior, Madhya Pradesh) and Ahicchatra (District Bareilly, Uttar Pradesh), which have been dated around fifth century A.D. (fig. 1). The Ahicchatra terraced structure was originally a Siva temple with excellent terracotta reliefs and it was exposed by K.N. 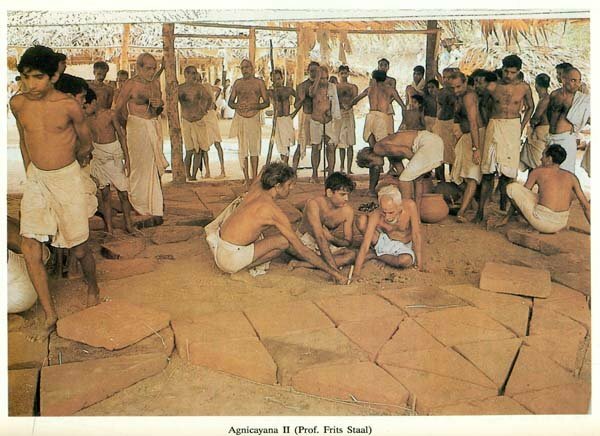 Dikshit of Archeological Survey of India during 1940-44. In the context of Buddhist architecture, a shrine of terraced-variety dating about the sixth century A.D. can be noticed at Sarnath in the monument popularly known as the Chaukhandi stupa. This seems to be the oldest surviving Mahayanic pyramidal structure with tiers. Possibly this architectural model, which was already held as sacred by Brahmins and Buddhists, was transmitted to South-East Asia and ultimately reached its culmination in Barabudur. The stupa of Barabudur architecturally represents the mountain Meru presided over by the central Buddha figure. Perhaps, it illustrates the cosmic form of Adi-Buddha, embodying within himself several universes, hells and heavens, human beings, demons, demi-gods, gods, sages, Bodhisattva and Buddhas, time and timelessness and dharma, i.e., the righteous order. 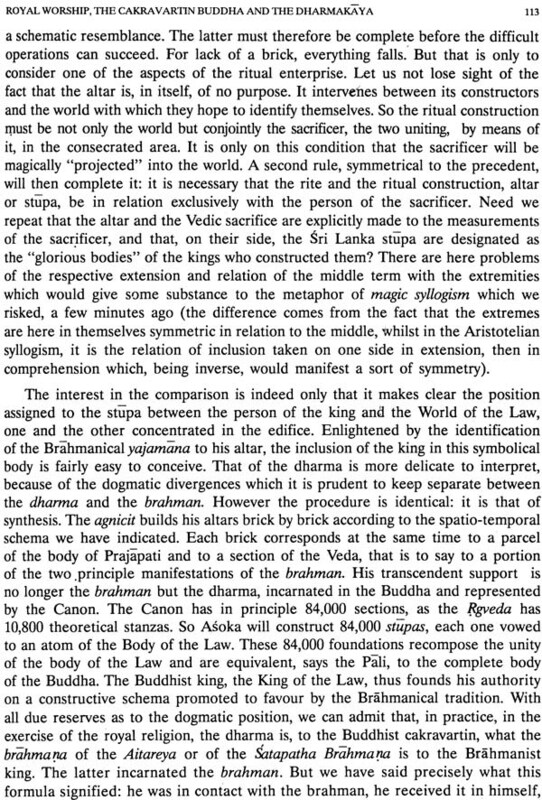 Lama Anagarika Govinda has attempted to identify in the stupa of Barabudur sixty elements of Buddhist philosophy constituting a continuous way ascending through the three worlds and its different states of existence in the form of a spiral, spiritual circumambulatory path. The general plan (fig. 2) and elevation of Barabudur has a resemblence with a tantrika yantra (sacred and mystic diagram) of Meruprstha type characterised by a bindu (central point of the stupa in the centre), vrttas (circles), and bhupuras (external square frames), although it may not be possible for us to place it in the Buddhist context precisely. Paul Mus was born at Bourges, in the central part of northern France, in 1902; and he died in the south, at Murs, in the Vaucluse, in 1969. At the age of five, he went with his parents to Vietnam; his father was a school-teacher there and his childhood and his early youth were spent entirely in that country. In his teens he returned to Paris to complete his education. There he was a pupil at the Lycee Henri-IV, and a student of Alain (Emile Auguste Chartier, 1868-1951) for whom all his life he retained deep respect. Alain could, I suppose, be called a philosopher. 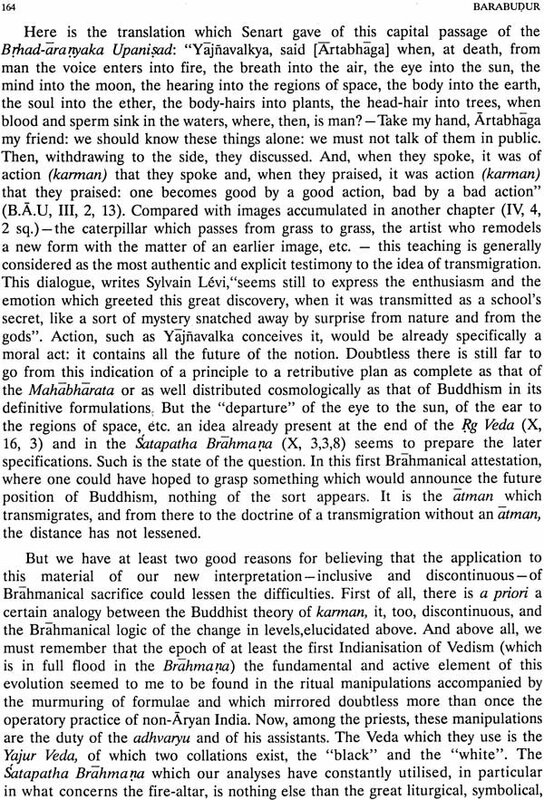 However, Mus also followed the lectures of the sociologist Marcel Mauss and the Sanskritist Sylvain Levi. In Paris he studied Chinese, Siamese and, Cambodian. Since childhood he spoke Vietnamese and later, for his fieldwork, he learnt Cham. His English was very good; his German too. He was gifted with a prodigious memory which he exercised every day of his life. In 1927, Mus was appointed a Member of the Ecole francaise d'Extreme-Orient at Hanoi. In 1937, in France, he became Directeur d'Etudes at the Ecole pratique des Hautes Etudes in the Section of Religious Sciences located in the old Sorbonne building. In 1939 his doctoral dissertation was published by the Institut d'Ethnologie, which was located in the Musee de I'Homme. The sub-title of the book alone indicates the extraordinary range of his learning : La lumiere sur les Six Voies, tableau de la transmigration bouddhique d'apres les sources sanscrites, pali, tibetaines et chinoises en majeure partie inedites, I, Introduction et critique des textes. It was Sylvain Levi who had given Mus this subject to work on and the volume also contains the complementary thesis : Les Sadgatikarika de Dharmika Subhuti the manuscript of which had been found, or rather rediscovered by Sylvain Levi himself in Nepal: University professors usually consider this volume to be the meisterwerk of Mus. 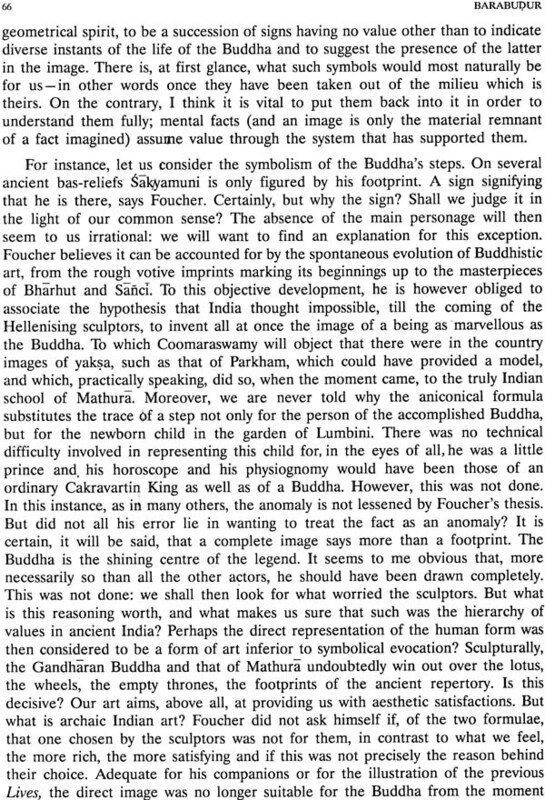 In it, his passion for parenthesis was kept on a tight rein: and the result is an impressive example of textual editing, explanation and criticism, illuminated by the author's firsthand knowledge of Buddhism in South Asia. At the time of its publication, the book was accorded little attention in learned journals. When the 1939-45 war broke out, Mus was at first called up for military service in Europe. Some time later, he was sent to French West Africa as Director of Teaching in that area. After this African interlude, Mus decided to join that "handful of adventurers" who had opted for de Gaulle rather than Petain: and, in 1943 he was sent by Rene Pleven to India to join the Allied services preparing the defeat of Japan and the re-occupation of Southeast Asia. So it was in India that Paul Mus, the gentle scholar, experienced the pleasures and the pains of the British-organised jungle-warfare schools, and was trained as a parachutist. In 1944, at the age of forty-two, he was parachuted to Tonkin, sent to make contact, as representative of de Gaulle, with the local anti-Japanese resistance. After the Japanese coup d'etat on March 9, 1945, Mus managed to avoid being caught by the Japanese and; thanks to his knowledge of the country and the language, and the help he received from local villagers, was able to rejoin the troops of general Alessandri who were retreating, on foot, across the mountains of Haut Tonkin, to Kunming, in Chiang Kai-shek's China. He spoke of this experience later in Le Viet-nam chez lui, the text of a conference given on June 26, 1946 at the Centre d'etude de politique etrangere, published in 1946 by Hartmann in Paris. For a short while, Mus was to be political advisor to the French authorities preparing to set foot once more in Indochina: General Leclerc, Admiral d'Argenlieu and Bollaert, the High Commissioner. Mus used to tell the story of how one of his reports on the political situation in Indochina was read by a British general who pencilled in the margin: "Of no importance: only ideas." It was at this period that he crossed the Viet-minh lines on foot, carrying terms which he himself thought were unacceptable, for a 'last chance' meeting with Ho Chi Minh, in an ultimate effort to avoid war between the Viet-minh and France, a war which now seemed inevitable. Mus has told the tale of his meetings with 'uncle' Ho in his books Vietnam, Sociologie d'une guerre, Paris, Ed. du Seuil, 1952, and Ho Chi Minh, Le Vietnam, L'Asie, Paris, Ed. du Seuil, 1971. In 1946, after his return to Paris and a short spell as Director of the France-Overseas School (Ecole d'Outre-mer) he was appointed Professor at the College de France, the title of his chair being "Civilisations of the Far East." A few years later, I do not know the exact date; he was also appointed annual Visiting Professor at Yale University, in the United States. The rest of his life was to be shared between France and America. In France, Mus quickly became known to the man in the street through a series of articles he published in 1949 and 1950 in Temoignage chretien and in which he denounced the warlike propaganda of certain colonialist elements in French governmental circles and struggled to explain the Viet-minh viewpoint to a largely indifferent French public opinion. Throughout his life, while pursuing and deepening his scholarly research, Mus was involved in public discussion of current political problems. I must mention that his son who was initially a conscientious objector ended up as a paratroop officer and was killed during the war in Algeria. This personal tragedy affected Mus profoundly. During his lifetime, Paul Mus wrote only a few articles directly in English. Among these, attention might be drawn here to 'Has Brahma four faces?' 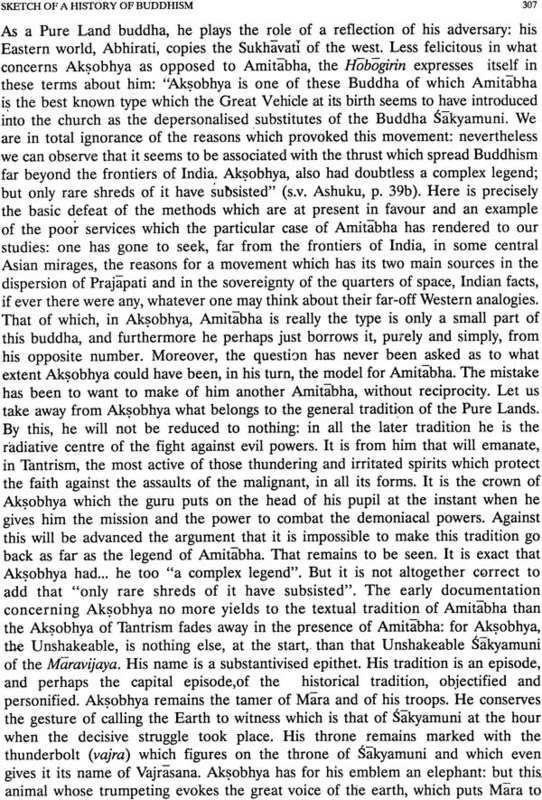 in Journal of the Indian Society of Oriental Art, Calcutta, 1937, Vol. V, pp. 60-73; Angkor in the time of Jayavarman VII', in Indian Art and Letters, London, 1937, Vol. XI, no. 2, pp. 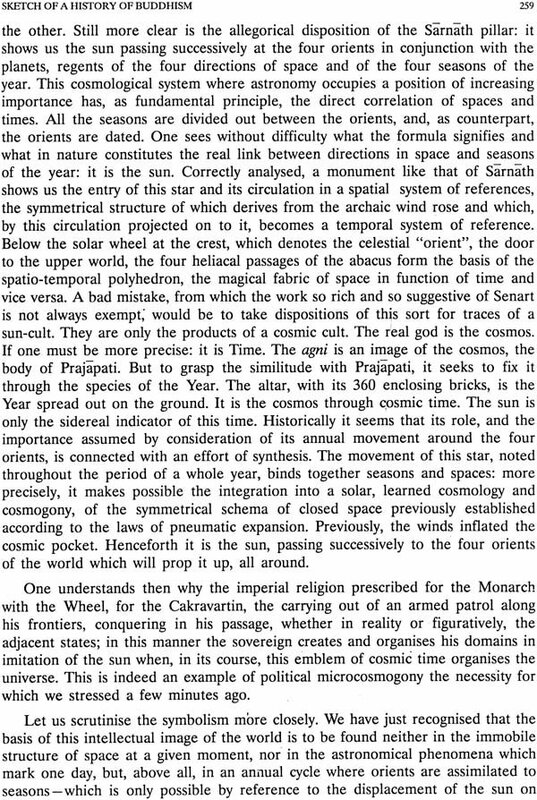 65-75; 'The Problematic of the Self West and East and the Mandala Pattern’ in Philosophy and Culture East and West, Third International Conference of Western and Eastern Philosophers (July 1959), edited by L.A. Moore at Honolulu, 1962, pp. 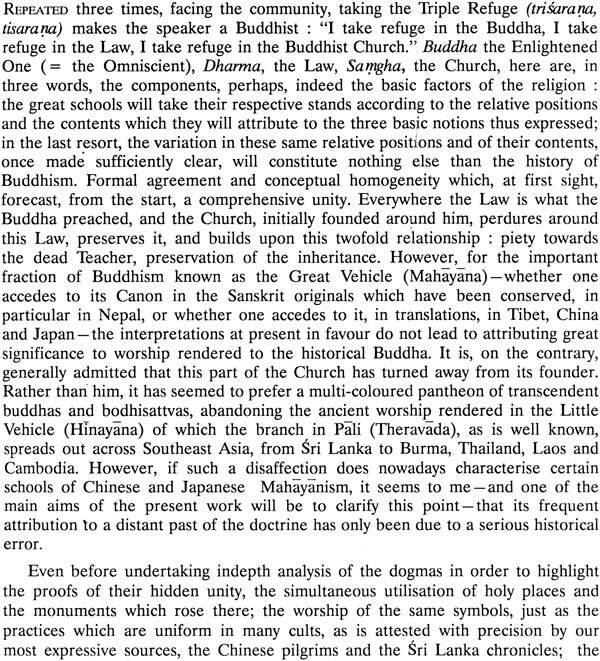 594-61O; 'Buddhism in Vietnamese History and Society' in the Jahrbuch des Sudasien-Instituts der Universitat Heidelberg, 1967-68, Wiesbaden, 1968, pp. 95-115, and 'Thousand-armed Kannon: A Mystery or a Problem?' in Indogaku Bukkyogaku Kenkyu, 12, I, 1964, pp. 438-470. The reader of French will gain access to further aspects of the work of Mus by consulting the obituary notice 'Paul Mus' written by the anthropologist Guy Morechand in the Bulletin de l'Ecole francaise d'Extreme-Orient (henceforth BEFEO), t. LVII. 1970, pp. 24-42; by perusing a volume of articles published after the death of Mus and edited by Serge Thion L'angle de l'Asie, Paris, Hartmann, 1977 -which contains the most complete bibliography published to date; and by working through all article by Georges Condominas, 'Paul Mus, Sociologue', published in the Cahiers Internationaux de Sociologie, Vol. 49, 1970, pp. 53-68. This article is noteworthy for its exploitation of the summaries of the annual lectures of Mus, at the College de France,' printed in the Annuaires du College de France, a publication which I know, from experience, is not easy to locate outside Parisian libraries. At the period of his life when he was based at Hanoi, and working on Angkor Wat in Cambodia and on the Barabudur 'in Java, Paul Mus published between 1932 and 1934, in the Bulletin of the School, three articles in French: 'Barabudur, les origines du stupa et la transmigration, essai d'archeologie religieuse comparee, I,' in BEFEO XXXII, no. 1, pp. 269-439; 'Barabudur, la valeur cosmique du stupa, cosmogrammes et geomancie dans la croyance commune de l' Asie, II,' in BEFEO XXXIII, no. 2, pp. 577-981; and 'Barabudur, les origines du stupa et la transmigration ... , III, in BEFEO, XXXIV, no.1, pp. 175-400. These articles contained, for the time when they were written, many new views and hypotheses concerning the evolution of Buddhism throughout Asia and were concerned with much else besides the Barabudur. George Coedes, who was, in those days, the Director of EFEO, felt that the work of Mus should be made more widely known and that the articles should be grouped together in a separate publication. So he suggested to Mus that the latter write a few pages introducing his own work to the learned public and summarising the views expressed in these articles. When I was a student in Paris in the 1950s, Coedes himself told me of his astonishment when, a few weeks after he had made this suggestion, Mus brought to him the French text of the Foreword (avant-propos) which I translate into English in the pages below. The articles in the BEFEO had begun as a critical review of a work in Dutch written in 1927 by W.F. Stutterheim and published in 1929 at Weltevreden under the title Tjandi Bara-Boedoer, Naam-Vorm-Beteekenis. By 1935, the date at which Barabudur, Esquisse d'une histoire du Bouddhisme fondee sur la critique archeologique des textes was published, unfinished, in two volumes, at Hanoi, the work filled 1,100 printed pages of which 302 were in very small type. The book was not received with widespread enthusiasm by contemporary learned opinion when it came out. P. Masson-Oursel was full of praise and Coomaraswamy was enthusiastic; but Louis de la Vallee Poussin, the great Belgian scholar of Buddhism, noted somewhat sourly: "The Buddhism of Paul Mus is not that of the Theras of the Theragathas, of the Bhiksus of the Vinaya... it is, in reality a nirmitakaya where the markers are not easy to discern" (Melanges chinois et bouddhiques, Vol. V, 1936-37, Bruxelles, 1937, pp. 252-53). A French reprint of the same text but iI1 one volume, was published in New York by Arno Press, in 1978: and, in Paris, in 1990, Arma Artis reprinted the same French text, again in one volume, with the permission of Madame Suzanne Mus. 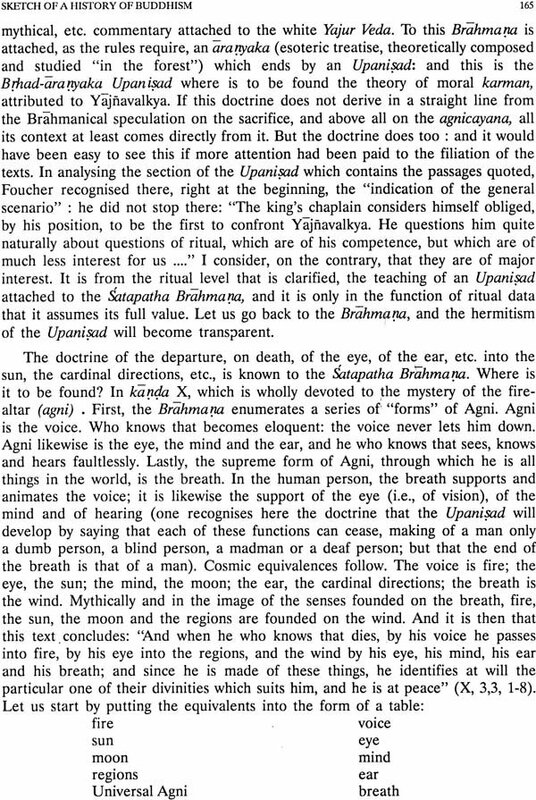 To the best of my knowledge no part of the body of the Barabudur nor of its foreword (which is, in reality, a postface) has ever been published in English translation. Few copies of the book were printed originally in French at Hanoi: some doubtless went astray during the fighting; and even in Paris in the 50s the 900k was hard to come by and very expensive indeed for impecunious students. I recall that I acquired my own copy from Georges Condominas to whom I gave in exchange Tylor's two-volume Primitive Culture. I still think I got the better part of the bargain. My own path first crossed that of Paul Mus in the rest-and-transit centre of Force 136 in Calcutta sometime in late 1945. We were both in "The Firm" as it used to be called by its members. But he was in Indochina Country Section; and I was in Burma Country Section. On September 2, 1945, a major on Leclerc's staff, he had stood on the deck of the American battleship Missouri, a few feet away from. the table, when Mamoru Shigemitsu signed the document confirming the surrender of Japan, in the presence of General MacArthur and delegations from the other Allied Forces. However, at that time, I was not particularly interested in the doings of Mr. Quail, the name under which Paul Mus had been dropped to Tonkin. I was tired and much preoccupied with my own immediate future. Let me try to explain why because knowledge of some facts is essential for understanding what ensued.